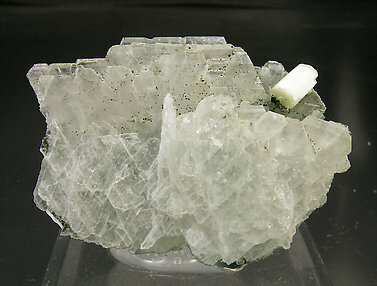 Complete doubly terminated crystal of this uncommon species. It is white, has very well defined faces and edges and has excellent pinacoidal terminations. It stands on a matrix of laminar crystals of Albite (variety Cleavelandite).